Just like DevOps is a culture that involves continuous integration, a DevOps engineer's career is a process of continuous learning through experience. You may delve into books and YouTube courses explaining the optimal software delivery process or dev tests in practice, but you have to do it in a real-life production environment to understand it. That is why if you want to progress as a DevOps you need to join the right team. A team that uses state-of-the-art tools, works with the same methodology, uses the same processes as global tech leaders such as Amazon, Google or LinkedIn, and embraces the role rotation model. Ideally, a team within an organization that gives you an opportunity to work on different application development projects, from various sectors of the economy, and on different scales. We are building such a team at Netguru. At Netguru different operations teams work together on various projects, and discuss possible solutions. Career stagnation is a serious problem for many experienced sysadmins. The reason is simple - in most cases, they just become too comfortable with their well-paid jobs. If there's no fire, they have little to do, and doing nothing may be very pleasant in the short run, especially if you get your money. However, you pay the price for stagnation with time as your skills lose their market value. What's even worse, it's dead boring. The DevOps revolution is changing the administrator's job. 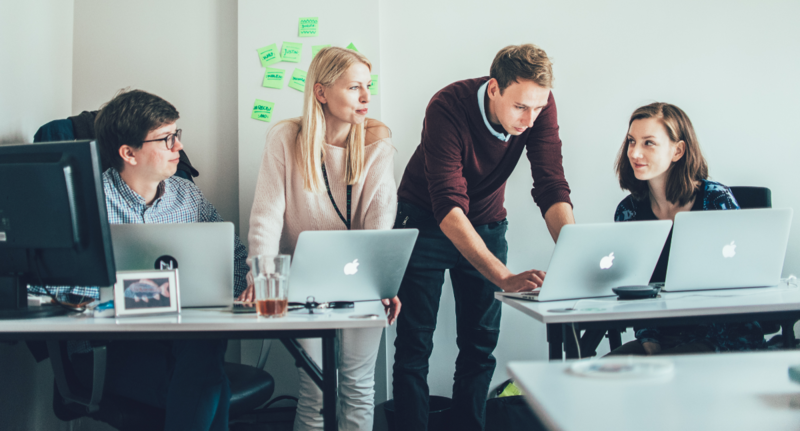 Even the best and the most experienced specialists will find their skills outdated if they don't learn the new methodology, release management processes, and the new tools. That is why it is a great career risk for DevOps engineers and administrators to stay in the same company too long if the organization they work for doesn't keep up with the global standards. How to stay relevant? You need to progress - develop new skills and learn new solutions. You can start reading books by DevOps practitioners. You can start with one from this list of 13 publications. I would also recommend reading "The High Velocity Edge" by Steve Spear, a book that influenced many top tech companies. The author presents four organizational (and individual) capabilities, which make up Spear’s model: seeing problems as they occur, swarming and solving problems, spreading new knowledge, and leading by developing. What is more, it is crucial for you to use the newest global cloud solutions in your everyday work (not only Amazon Web Services or Microsoft Azure). You need to learn how to control the disclosure of features, how to use feature flags to provide granular control that allows making changes without deployment, and progressive experimentation. This is a practice you will never learn in an organization using on-premises software. To stay relevant, you need hands-on experience with the best DevOps tools and services. Our team loves experimenting with new solutions and we are constantly searching for new ways to improve performance and reliability as well as improve our productivity through automation. We also have our go-to stack which includes the most prominent DevOps tools - Docker, Terraform, Ansible, Datadog, Graylog, Let's Encrypt, PagerDuty, and various Amazon Web Services, such as RDS, EC2, ECS, ECR, CDN, S3, Route53, plus Certificate Manager. The best way to achieve all the above goals in a quest to explore a new stack, meet more experienced people, and hop on a path leading to senior positions, is to join the right team. And now is the perfect time to land in a modern world-class DevOps team at Netguru and get a chance to be in the vanguard of a trend that is bound to become the future of system administration and software development. 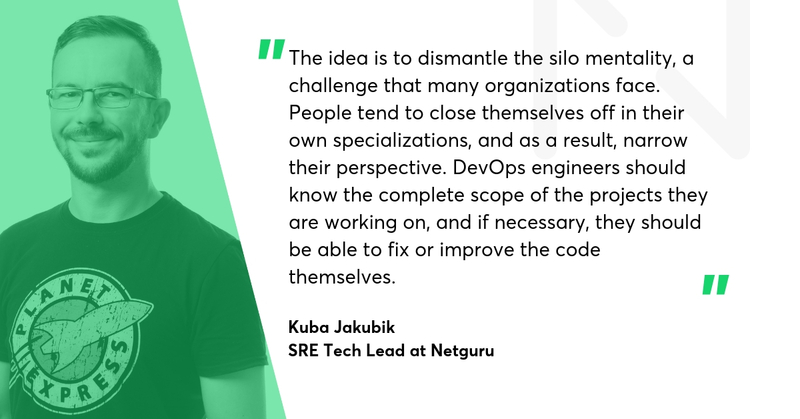 The DevOps transformation in Netguru is led by Kuba Jakubik, who took the Site Reliability Engineering (SRE) Tech Lead position in Netguru after working as a Network SRE for Google in Ireland. Kuba is on a priority mission in Netguru. His job is to introduce the best SRE practices inspired by Google, Amazon, and LinkedIn. Kuba's responsible for spreading the DevOps culture throughout the organization and promoting close cooperation among admins and developers. The goal is to create the best DevOps team in the region (at the very least). This is one of our main assumptions. The sysadmins should understand the product - the technology and business goals - while the developers should know the infrastructure, including where and how their containers are arranged. This is an essential part of Netguru's collaborative culture. There are so many different configurations of tools available. We want different operations teams to work together, talk, and discuss possible solutions. The Agile software development revolution has changed the rules. Engineers need to have interdisciplinary knowledge, and this means successful DevOps need to learn the trade of coders. Fortunately, it will come naturally when you join the right team. At Netguru, we don't just use the buzzwordy tech. We choose the tech and processes we really believe in. Just like in the past we embraced agile, continuous delivery, and remote collaboration, and build the whole company on it, today we fully embrace 99.999 reliability as a goal and infrastructure as a code as a long-term solution. We build our DevOps culture at Netguru using a continuous improvement approach. This is especially important as even organizations that made the effort to implement continuous delivery may fall into the trap of a drifting or coasting mentality. It may be a challenge for project managers and even software developers to work on many projects for different clients. We know that they often dream about working on a single long-term product they can improve and watch grow... However, it's a different story with DevOps. A prosperous world-class software development company may just be the perfect environment for them. By working for many clients, you get to know various technologies - such as Ruby on Rails, Python, Node.js, and machine learning frameworks. You can see how these solutions perform under different circumstances as your team is responsible for diverse projects: from a bike-sharing mobile app in New York City, through a leading FinTech in Berlin, to a medical repository for hospitals and clinics. What's more, Netguru's DevOps team rotates roles every week. Once you are a fireman on standby duty with a pager in your pocket, then you embrace a proactive role in planning and building new apps and engines, and eventually, you get a week for your personal development, when you can learn the tools your team or other Netguru teams use. 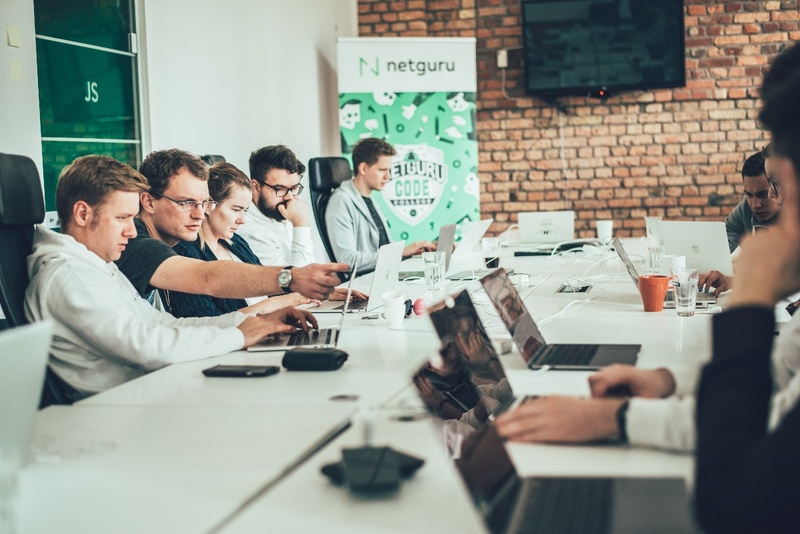 The process we use at Netguru DevOps team is based on three pillars: making sure everyone understands the individual and global goals, using feedback loops, and transparent communication. Collaborative culture is an essential part of Netguru's identity. Certificates are not necessary, but we are happy to see our DevOps engineers getting Amazon Web Services or Microsoft Azure credentials. As with all Netguru teams, we encourage everyone to participate in meetups. We really believe in communication and collaboration. This is how we see it. From our perspective, joining an international organization with remote teams in its blood and working of dozens of top-tier advanced projects simultaneously can really help you progress as a DevOps engineer. We are building a new team inspired by the practices of Google, Amazon, and LinkedIn. It may be the right time to join us.